Describe about the Business and Corporate Law for Legal Exchange of Business. Under this case, there is an issue related to the consideration, weather it present or not in the agreement. Under this situation, lotus super 7 sports car is offer by Jane to Jack, because Jane is going to overseas. The market value of car is $25000. But there is no information related to price, at which car is offered to Jack. Jack accepts this offer without any information about the consideration. Consideration is a term, in which price is asked by the party in the exchange for promise. Consideration is an essential element to form a legal contract. In every agreement, consideration can be anything of value, under which each party legally exchanges something, if the contract is valid. If one party offers something without consideration than contract is not legally enforceable (ACL, 2016). In every contract, consideration must be sufficient by not necessary to adequate. In the case Beaton v McDivitt (1987) 13 NSWLR 162, McDivitt owned a land and he gave some part of land to Beaton, where he can live and work. In the given case, there is an argument that promise of McDivitt shall be enforced. According to the Australian contract law, government held this contract void, because Beaton did not make any action, which can be consider as his consideration in the exchange for the promise of McDivitt’s promise (Unistudy Guides, 2016). Under the Australian contact law, it follows the principal of ‘Quid pro quo’, which states ‘for this for that’ that means some value is necessary to make any agreement legally enforceable that can be monetary or non monetary. In the present case, Jane offers her Lotus Super 7 sports car to Jack without any information of price. Market value of this car is around $ 25000. Jack accepts this offer without any delay. For legally binding in any contract, consideration is necessary (Inc, 2013). On the basis of the above principals of consideration, the agreement between the Jane and Jack is void. Without any consideration an agreement, Jack cannot enforce this contract in the court of law. In this case, Jane offers her Lotus Super 7 sports car to Jack for $ 25000. This case is also related examination of presence of consideration between Jane and Jack. Under this case, Jack accepts the offer. The market value of this car is same $ 25000. If any person wants promise to enforce, there must be something given in the exchange of the promise. Consideration can move from the promissee to the promisor. Past consideration, which exists in the agreement, is not a contract according to the Australian contract act. In any legally binding agreement consideration must be sufficient but not adequate (Contract law, 2016). As per rules in above discussion, consideration is the relevant factor to make a legal agreement. For example, John backed into Allen’s car and damaging it. John is liable to pay for damages, but he doesn’t have money right now to pay Allen. While Allen can sue John for damages to his car, John enter in an agreement to give him full payment $1500 in 90 days with the addition compensatory amount $250. This agreement states that Allen will not sue John before the maturity period, but he is free to sue after the maturity period (Legal dictionary, 2016). In this situation, consideration is provided by both the parties. So, this agreement is valid in the eyes of law. In the present case, there is proper consideration between both Jane and Jack. Jane offers her Lotus Super 7 sports car for $ 25000 and Jack accepts this offer. so there is valid legal agreement between both parties (Australian government, 2016). As per the above principals and rules of consideration, Contract between the Jane and Jack is valid, because there is proper consideration and acceptance in the agreement, where one party offer something and other accept the proposal with a value. So in the given case, Jack can enforce the contract as per the Australian contract law. In the given case, Jane offers her Lotus Super 7 sports car to Jack for $2500. Under the given case it has to be finding out, whether consideration is present or not in the given case. Jack accepts this offer with the given information. In every agreement, consideration must be sufficient doesn’t mean adequacy of consideration. According to the Australian contract act, consideration is not necessary to be always in monetary terms, it can be in non monetary factor such as ‘love and affection’. For agreement to be valid, it must have some value. In other words, one party must give benefit to other party or detriment under the contract (e-lawresources, 2016). Consideration must not be in the past because past consideration agreement is void in the eyes of law. If A promises B, to sell his house worth $ 50000 for $5 than this would be an inadequate consideration. Inadequate consideration is not void. In the case Thomas v Thomas, 1842 2 QB 851, 114 ER 330, John Thomas, orally expresses his desire to his wife before dying, to have the house as a residence. After the death, executors of defunct resources allowed his widow to live one of his houses as long as she remains widow (US legal, 2016). Widow of the deceased paying $1 annually as a rent and keep the house tenantable repair. There is an issue accrue that appellant refused to complete the conveyance, because the lacking of consideration. Under this case, Australian court held that agreement between the executors and Ms Thomas is valid, because consideration must have some value in the eyes of law no need to be adequate (Case brief, 2016). In the present case, Jane offers her sports car to Jack in $2500 that is valid contract, because there is a consideration which has benefited to each party. As discussed in above paragraphs, Australian court concluded the case that agreement between the Jane and Jack is valid agreement. There must be consideration exist in any agreement in the eyes of law that is not necessary it must be adequate (Liu and McKendrick, 2015). So, the consideration exists between Jane and Jack. A Shipbuilder enters into a contract with North Ocean Tankers to build tankers. The contract is in US dollars and does not contain any provision for currency fluctuations. But during midway of the construction of ship, the currency devaluated by 10 percent and shipbuilder demanded extra US$3 million, otherwise it will not carry out further work of construction of ship. The North Ocean tanker reluctantly agrees to pay the amount, because it has already hired a charter and also had to deliver the tanker on time (Gibson and Fraser, 2013). Furthermore, in this case the issue is that whether buyer will succeed in recovering the amount after 9 months of completion of contract or not. The above case comes under the law of duress. As per, Australian Contract law, Duress is defined as a contract law, where a person enters into a contact because of some threat or illegitimate pressure. In previous days, the court has only recognized the threat of physical violence but in present times, it has also recognized in various contracts, which gives rise to a valid claim. Duress exercises at common law. The basis of duress is that it contains a vitiating factor which includes absence of free consent (Latimer, 2012). Pressure which is not included in duress, gives rise to an action that includes under undue influence in equity. The contract is said to be voidable under duress an under influence contract law. The plaintiff may cancel the contract or may claim for damages. When a person enters into a contract because of threat of physical violence, it is considered as duress to person (Twomey, et al., 2016). In this case, the contract is set aside by the court providing that threat was the reason of entering into the contract. It includes threat to damage property. Duress to goods also includes detaining of property by one party wrongfully. Economic duress is another important type of duress in contract law, which is most commonly found in commercial contract disputes. It occurs, when one party to contract made unfair economic pressure on other party to follow the terms of the contract. Economic duress includes existence of continuous contract between plaintiff and defendant. There is also of free consent of party. Furthermore, it also included damages to financial interest of someone or threats which are illegitimate. The main factor to be considered in economic duress is that whether plaintiff had adequate or practical alternative or not (Erbacher, 2012). The practical or reasonable alternative means that it must be adequate for the claimant/ plaintiff purpose in that running/ given situation. For example, In a particular situation, if the plaintiff had acquired goods and services at reasonable price from another alternative easily, then court considers it as reasonable alternative and it does not comes under economic duress, as it is not done under illegitimate pressure of someone. Examples of elements of economic duress include Illegitimacy of pressure or wrongful threat on the plaintiff, non- availability of reasonable alternative to plaintiff, and the threat which forces or induces the plaintiff to enter into the contract. There are various factors, which are to be considered by the court before providing claim to the plaintiff, which includes unavailability of reasonable claim to the plaintiff. In addition to this, it is also considered by the court that whether plaintiff had protested at the time of signing of contract and also whether the duress is the main reason behind agreeing to the conditions of defendant. Furthermore, it is also considered that whether defendant act was in bad faith or not (Sweet and Scheneier, 2012). If the above conditions are present in a particular contract, then it successfully proves to be the case of economic duress and court gives the right to plaintiff to recover the money which is paid by him under illegitimate pressure. In this case, defendant agrees to build a ship for the claimants for a certain price. The price of contract is in US dollars. After the formation of contract by both the parties, the value of US dollars goes down by 10%. The condition was made by the defendant that the claimant has to pay the additional 10% amount on the contractual price to carry out the further construction work of ship. The plaintiff agrees to pay the extra amount to defendant without any protest as they already hired charter to carry out the work. After 8 months of the delivery of the ship, claimant brings an action to recover the amount which was paid by him (Turner, 2014). The decision was held by the court of appeal that contract was voidable for duress and claimant has no right to recover the amount because claimant takes too long to bring their application for claim. In the given case, the buyer is commercially compelled to pay US$3 million. Even though the contract between them does not contains any such provision, so the there was legal ground on which demand was made. This case contains economic duress as ship builder is causing financial distress to the buyer. The plaintiff (North Ocean Tanker) under the given case has no right to recover the excess amount because it took too long time (9months) to bring claim in the court of law. So it lost legal rights to recover the excess amount which was paid by them. Because as per above case North Ocean Shipping v Hyundai Construction Ltd, the judgment was made by the court of appeal that claimant has lost his right to claim the excess amount (Kang, et al., 2016). ACL (2016) Overview of Australian contract law. [Online]. Available at: https://www.australiancontractlaw.com/law.html (Accessed: 23 August 2016). Australian government (2016) what is valid consideration. [online]. Available at: https://www.treasury.gov.au/Policy-Topics/Business/Small-Business/Legal-Topics/Contracts/Agreement-making/Valid-consideration (Accessed: 23 August 2016). Burrows, A. (2012) A Restatement of the English Law of Unjust Enrichment. UK: OUP Oxford. Case brief (2016) Thomas v Thomas. [online]. Available at: https://casebrief.me/casebriefs/thomas-v-thomas/ (Accessed: 23 August 2016). Contract law (2016) Consideration. [Online]. Available at: https://contractlaw.yolasite.com/consideration.php (Accessed: 23 August 2016). e-lawresources (2016) contract consideration. [online]. Available at: https://e-lawresources.co.uk/Consideration.php (Accessed: 23 August 2016). Erbacher, S. (2012) Australian Restitution Law. UK: Routledge. Gibson, A. and Fraser, D. (2013) Business Law. 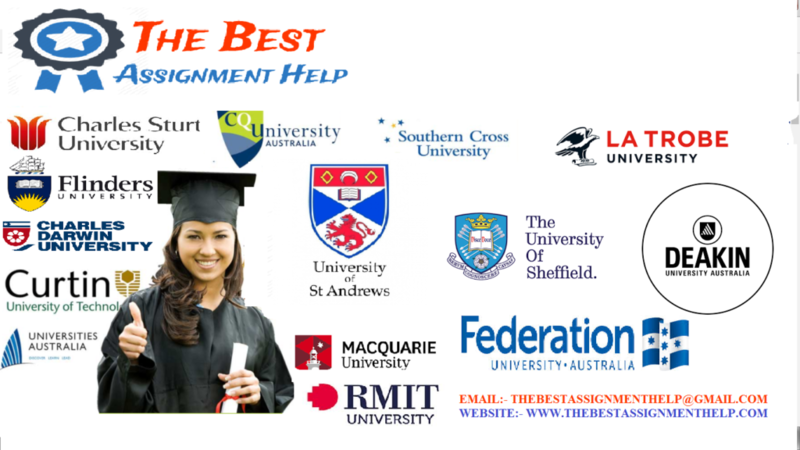 Australia: Pearson Higher Education AU. Inc, I. (2013) Australia Business Law Handbook Volume 1 Strategic Information and Basic Laws. USA: Int’l Business Publications. Kang, J.Y., Kim, S., Murphy, H. and Tenold, S. (2016) British financial, managerial and technical assistance in establishing the global shipbuilding giant, Hyundai Heavy Industries. International Journal of Maritime History, 28(1), pp.81-101. Latimer, P. (2012) Australian Business Law. Australia: CCH Australia Limited. Legal dictionary (2016) what is consideration. [Online]. Available at: https://legaldictionary.net/consideration/ (Accessed: 23 August 2016). Liu, Q., and McKendrick, E. (2015) Contract Law: Australian Edition. UK: Palgrave Macmillan. Stone, R. and Devenney, J. (2014) Text, Cases and Materials on Contract Law.UK: Routledge. Sweet, J. and Schneier, M. (2012) Legal Aspects of Architecture, Engineering and the Construction Process.9th edn. US: Cengage Learning. Turner, C. (2014) Unlocking Contract Law. 4thedn. UK: Routledge. Twomey, D., Jennings, M. and Greene, S.(2016) Business Law: Principles for Today’s Commercial Environment.5thedn. US: Cengage Learning. Unistudy Guides (2016) Beaton v McDivitt. [Online]. Available at: https://www.unistudyguides.com/wiki/Beaton_v_McDivitt (Accessed: 23 August 2016). US legal (2016) Adequate consideration law & legal definition. [online]. Available at: https://definitions.uslegal.com/a/adequate-consideration/ (Accessed: 23 August 2016). Virgo, G. (2015) The Principles of the Law of Restitution. USA: Oxford University Press.